You are sure to be delighted by this customized walking Ireland vacation tour itinerary ~ a fantastic combination of amazing sights, fitness, luxury accommodations, local food and comaraderie! If you enjoy active vacations, but desire the luxury of a charming inn or castle, and fine foods ... then this is the trip for you. 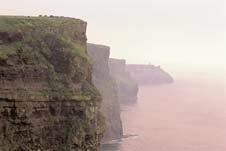 May 20: Depart the U.S. for Shannon Airport to begin your Ireland Vacation Tour. 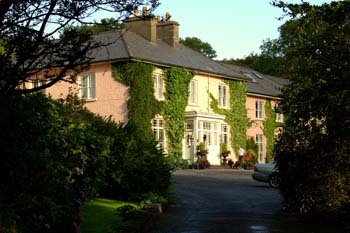 May 21: Travel to Connemara where you will check into Rosleague Manor for a 2-night stay. Rosleague Manor is a delightfully situated Georgian House overlooking Ballinakill Bay. Trek in the heart of the Twelve Bens Mountain Range on Ben Baun and Ben Breac, crossing salmon rivers and descending through a magnificent mountain valley in the Connemara National Park . Enjoy dinner at Rosleague Manor made from the finest local ingredients including fresh seafood and Connemara lamb. 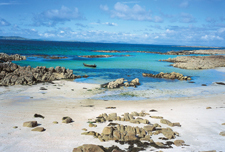 May 22: Today, enjoy walking on Inishbofin Island; a magical space of low heather covered hills, craggy cliffs, exquisite turquoise beaches and a magnificent natural harbor. View seals, choughs, and falcons in their natural habitats. Later return to Rosleague Manor and enjoy a gourmet dinner in the hotel. May 24: Travel north into County Mayo and hike Croagh Patrick . Magnificent views of Clew Bay and the surrounding south Mayo countryside are spectacular from all stages of the ascent of the mountain. Later return to Clifden and enjoy dinner in one of Clifden’s many restaurants, and later tonight enjoy traditional Irish music in one of Clifden’s many lively pubs. May 25: Explore the Aran Islands; a barren landscape of exposed limestone terraces ends in shear three hundred foot Atlantic sea cliffs. The labyrinth of stonewalls holds the secrets of this magical and spiritual place. Walk to the Cliffs of Moher, the West of Ireland’s most visited natural wonder, these dramatic cliffs stand 700 feet over the Atlantic. This evening check in for a 2-night stay at Gregans Castle and enjoy excellent food made from local organic produce. May 26: Explore the Burren Way where ruins and ancient cooking places dot the landscape and rivers disappear underground into the porous limestone. In late spring, the Burren flowers are in full bloom, many of them rare and protected. Enjoy a gourmet farewell dinner at Gregans Castle. May 27: Depart for U.S. Slan Abhaile! We are sure this Ireland vacation tour will be a memorable one!